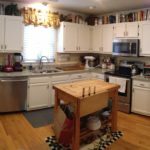 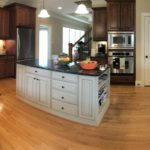 This kitchen had so many things going for it – a fantastic layout, loads of cabinet space, a beautifully glazed island, and fantastic door profiles. 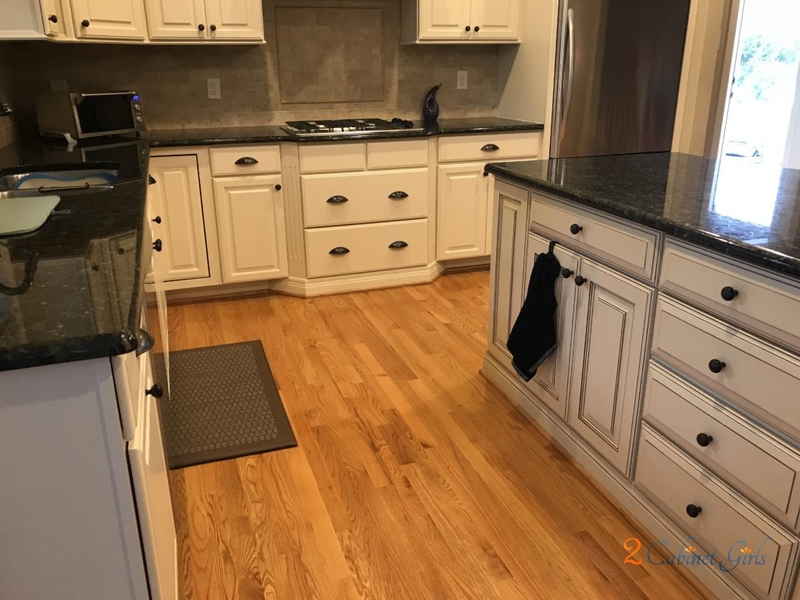 The thing it didn’t have…..a great color scheme. 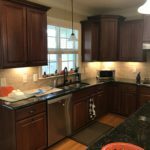 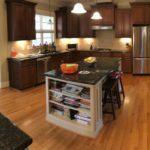 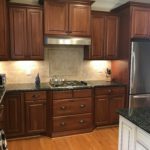 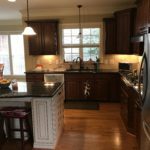 The wall cabinets were a purplish mahogany stain and they just didn’t flow with the homeowners style. 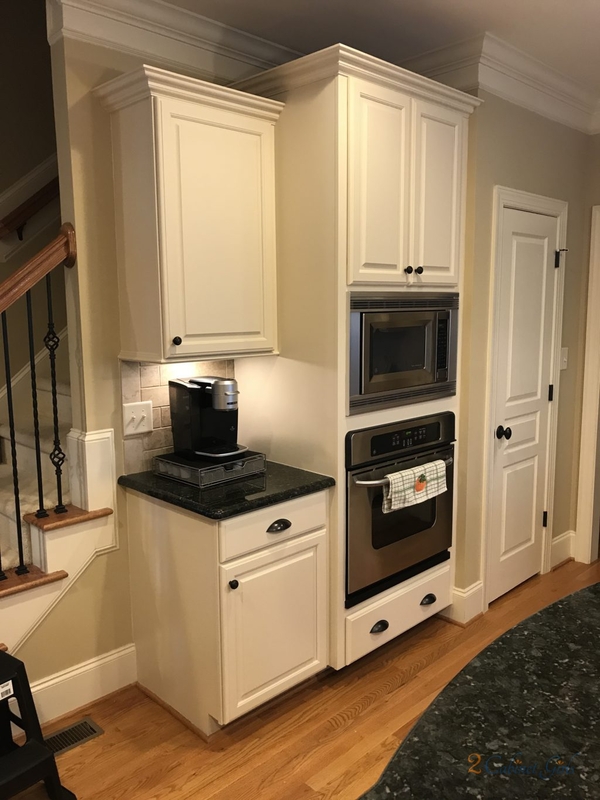 And one section of cabinetry along the wall didn’t match the rest. 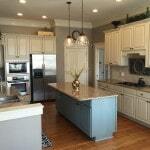 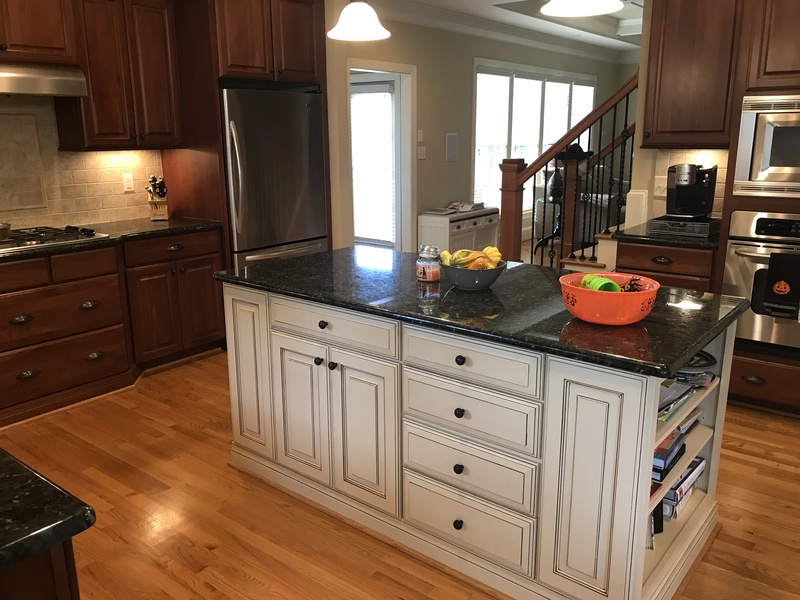 So the game plan here was to neutralize the colors, and have the wall cabinets match the paint on the island. 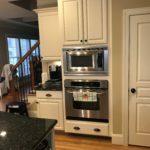 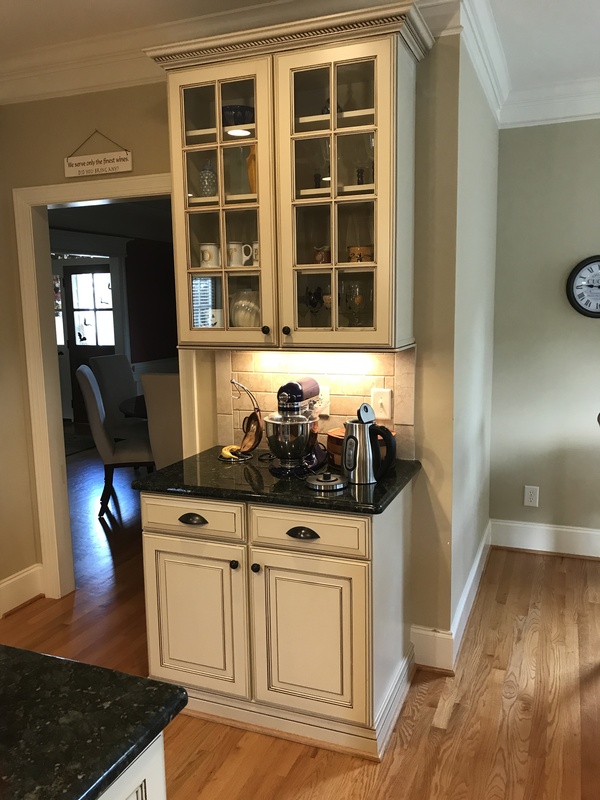 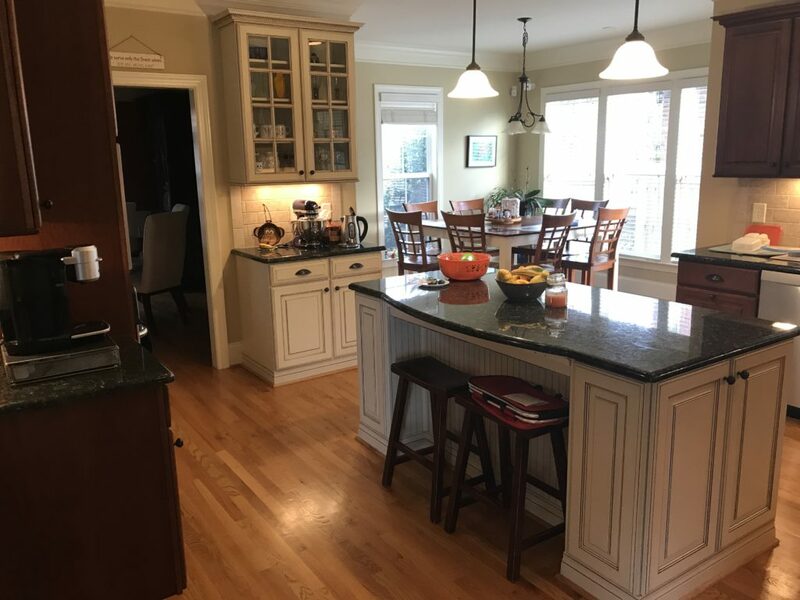 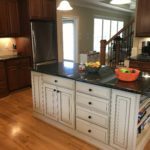 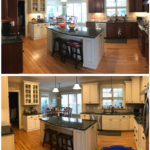 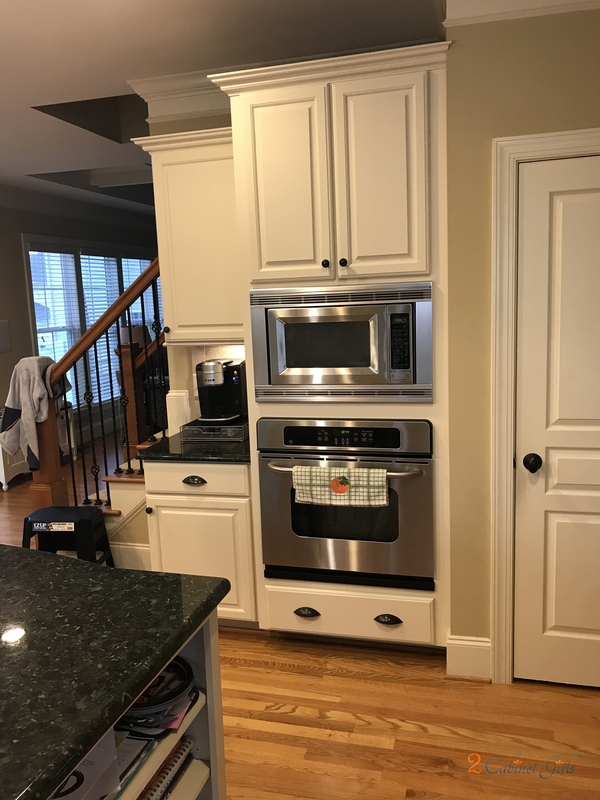 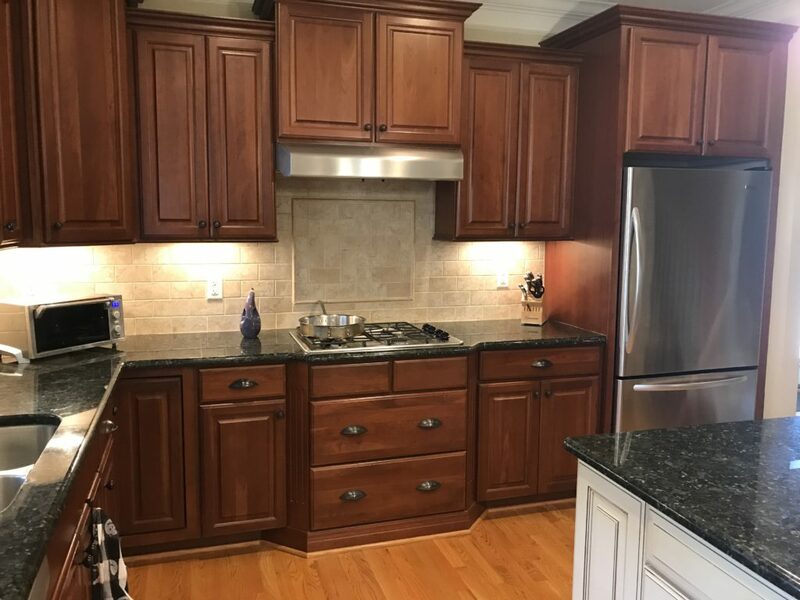 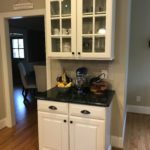 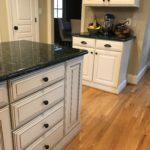 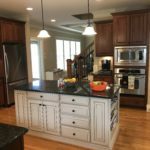 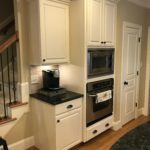 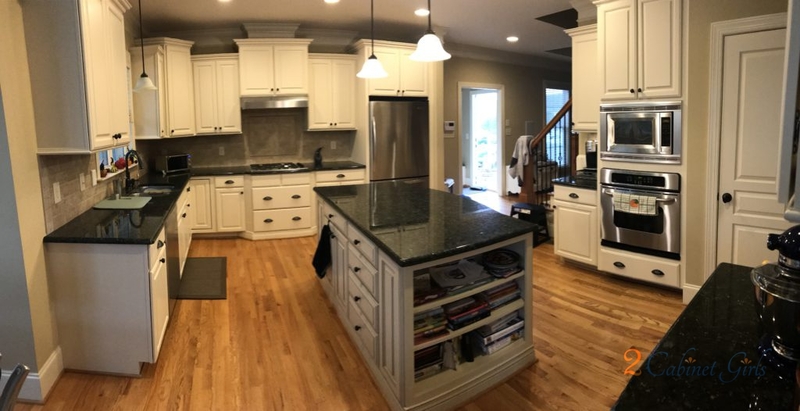 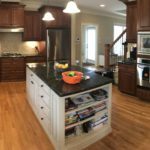 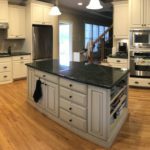 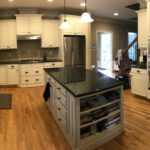 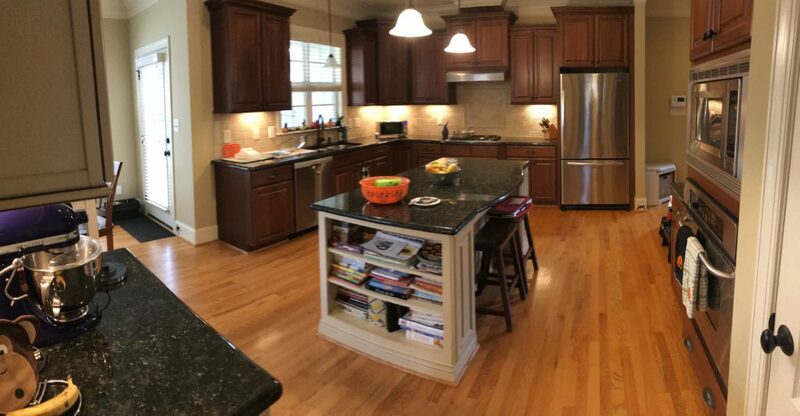 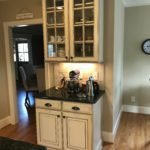 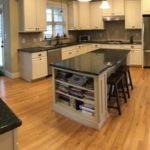 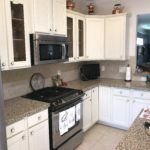 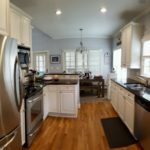 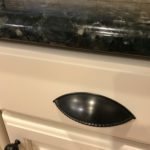 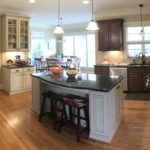 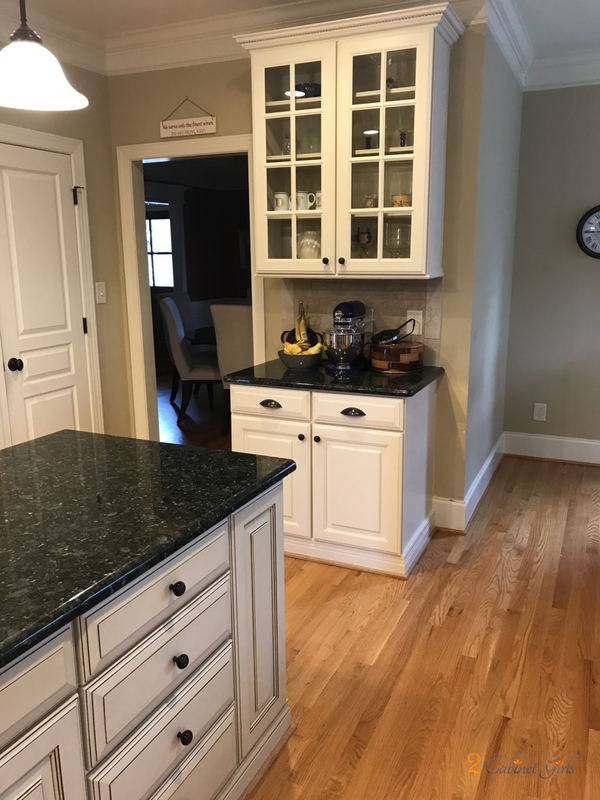 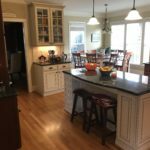 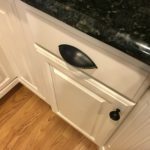 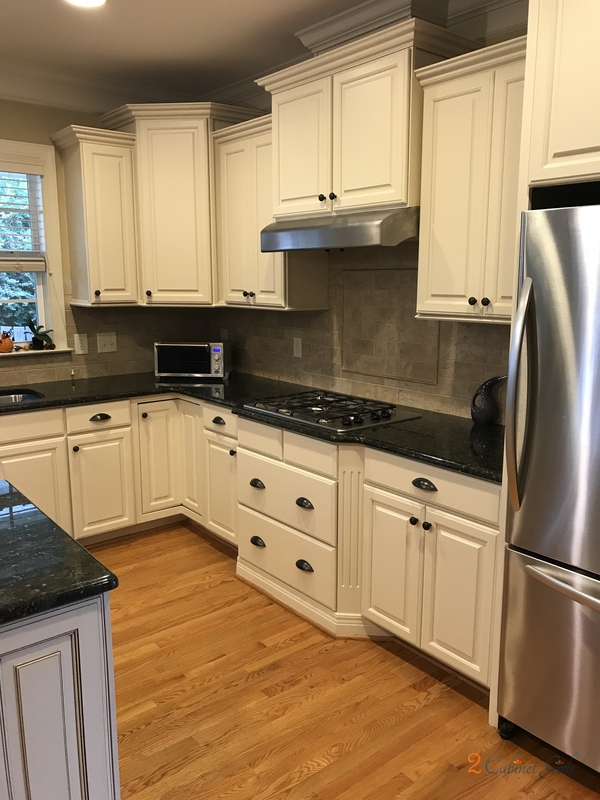 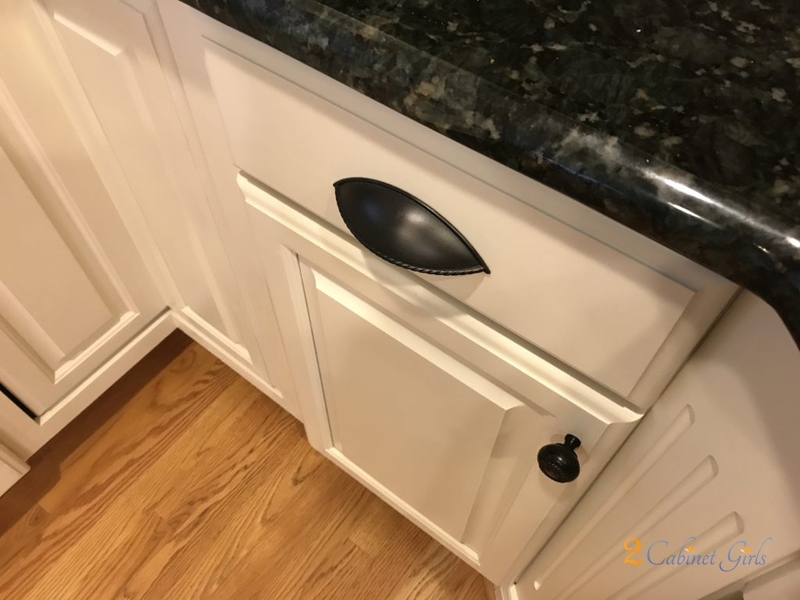 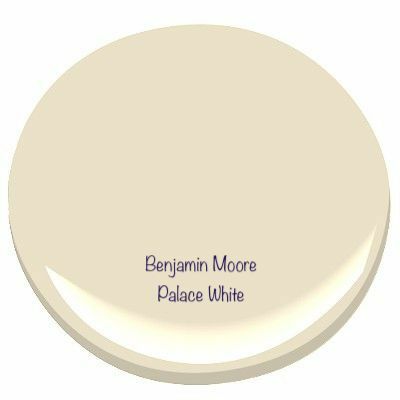 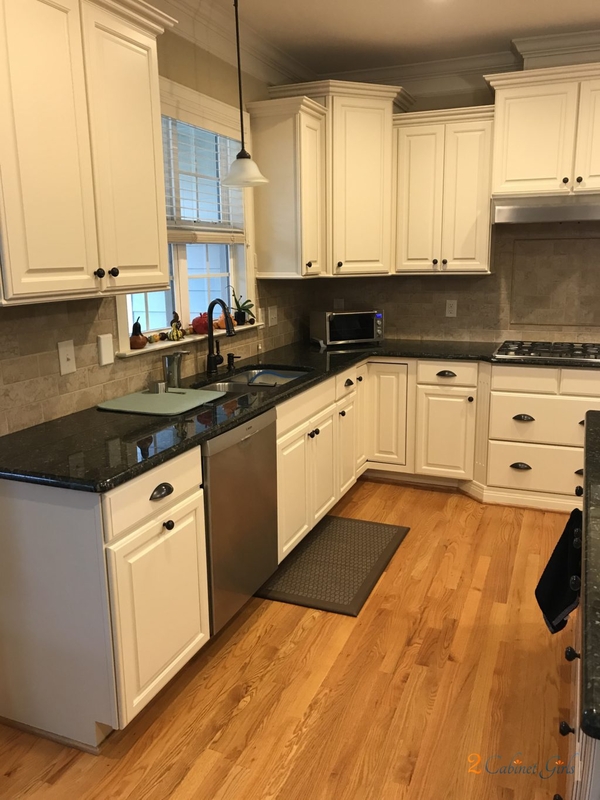 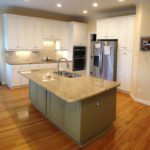 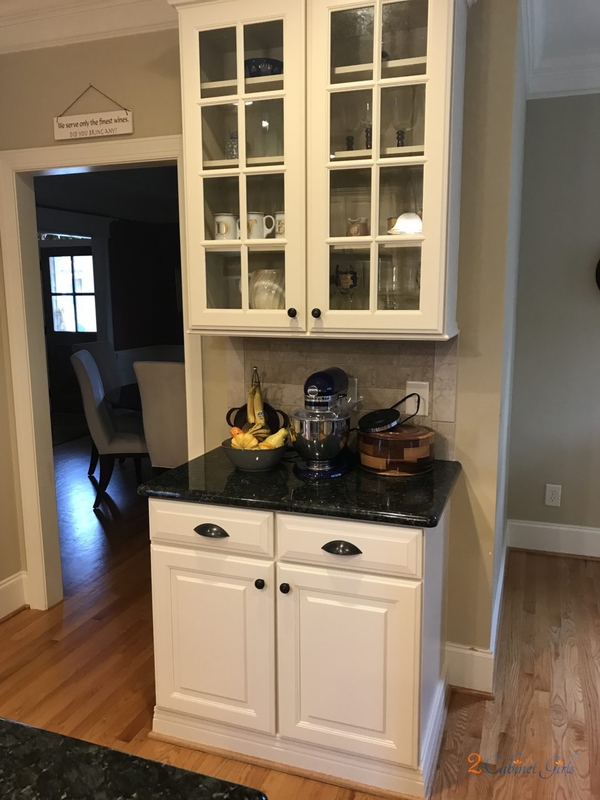 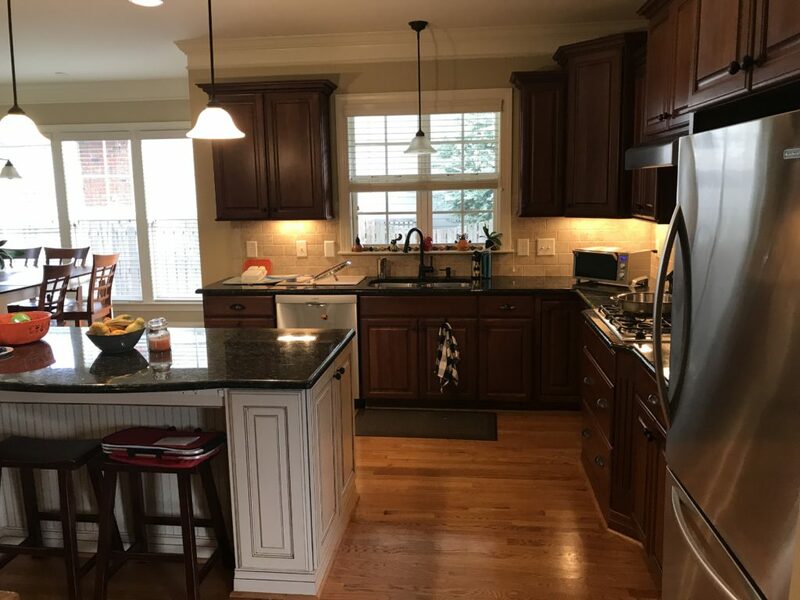 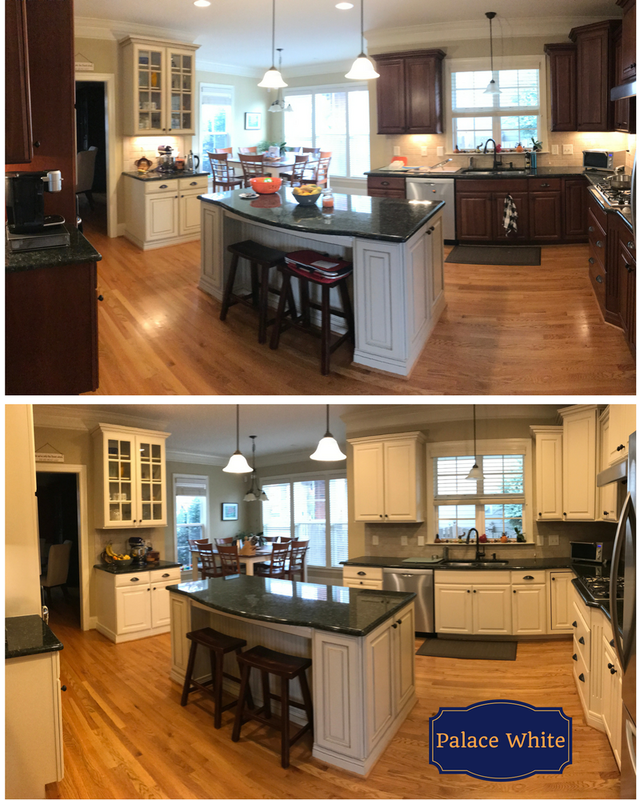 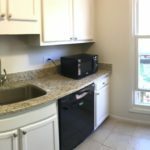 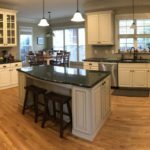 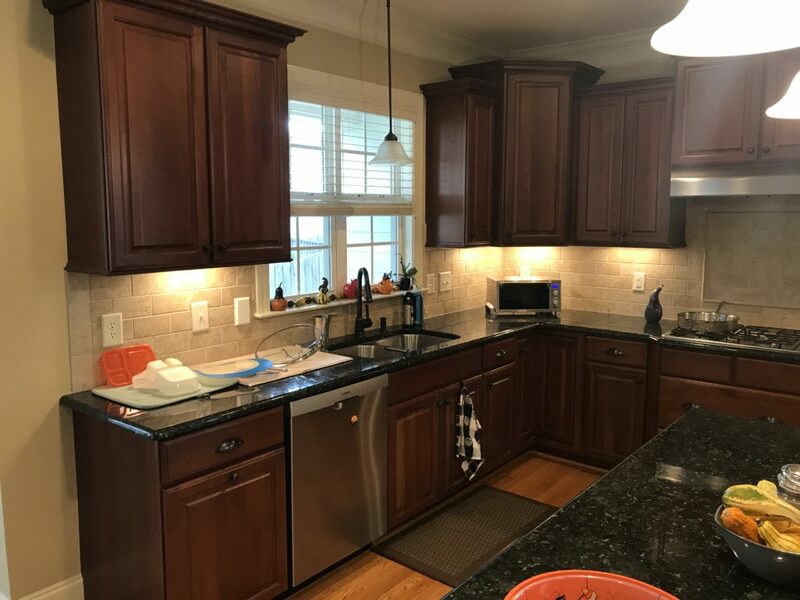 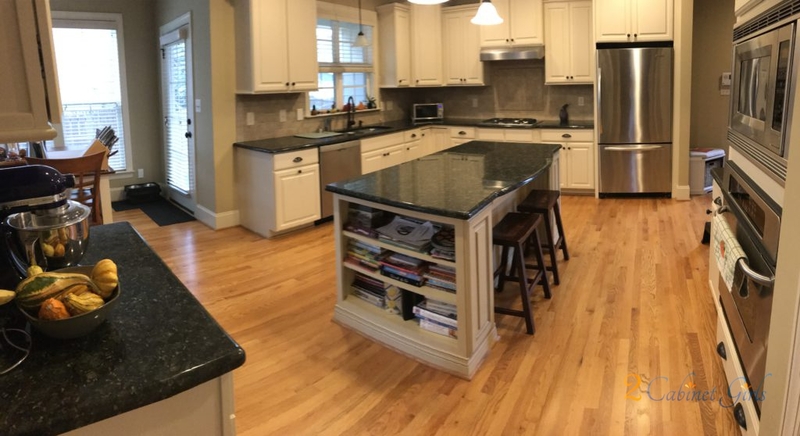 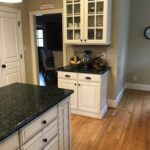 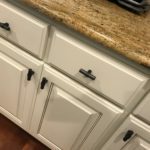 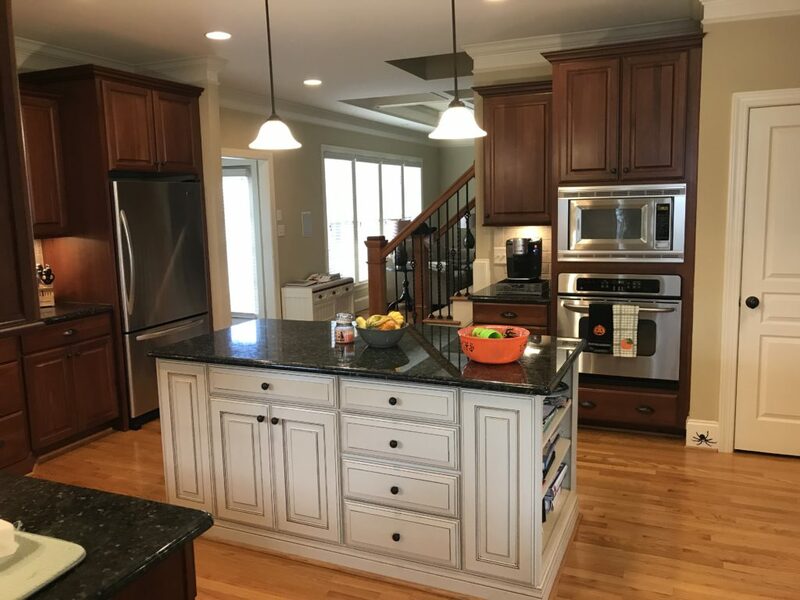 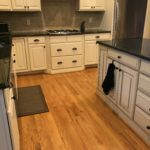 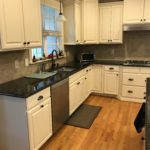 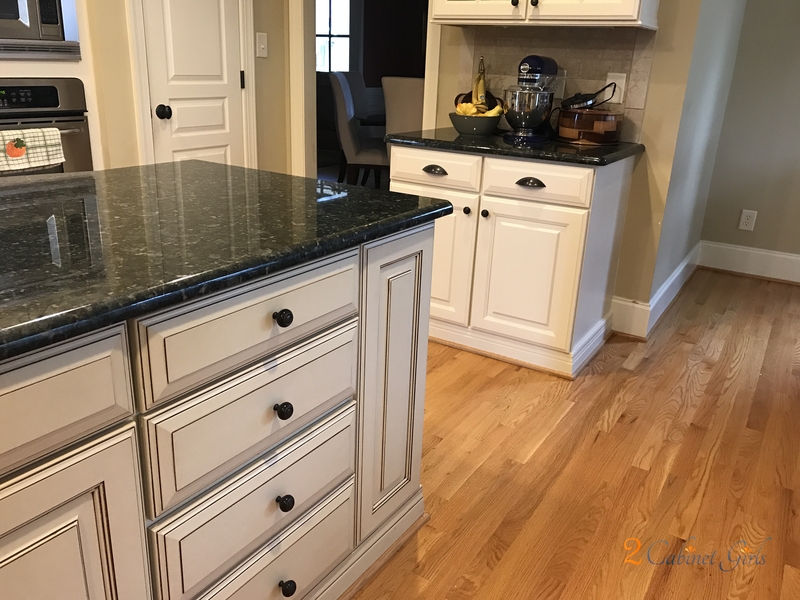 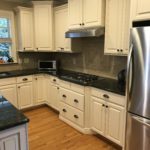 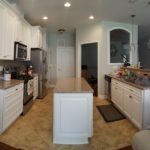 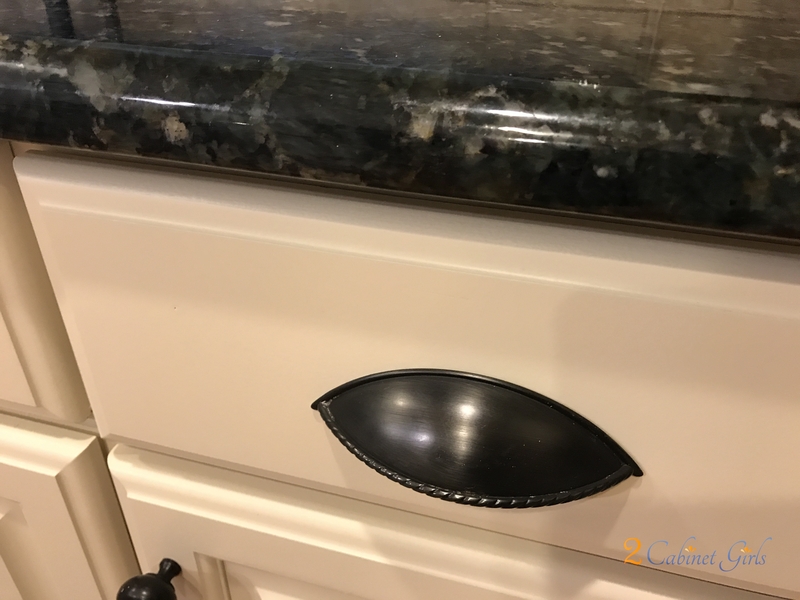 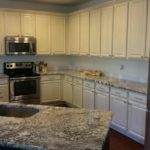 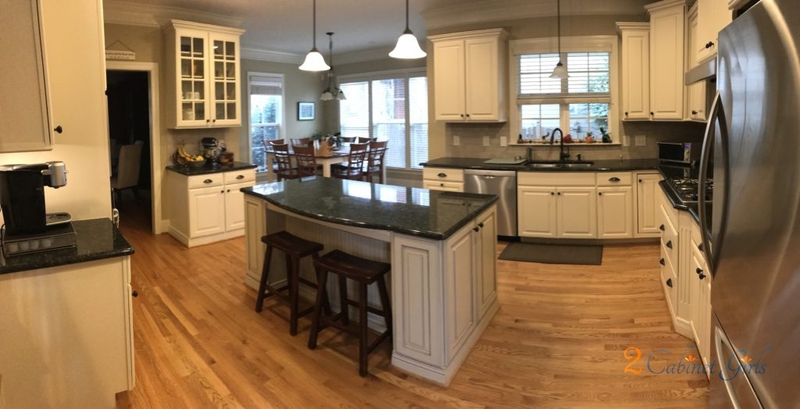 We didn’t add glaze to the wall cabinets because we wanted the island to still feel different, but we chose a similar paint color with the same beige undertones. 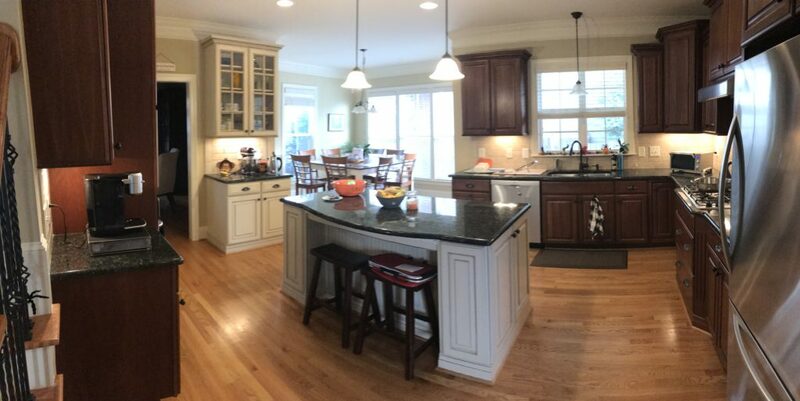 Now the kitchen feels more cohesive and current!